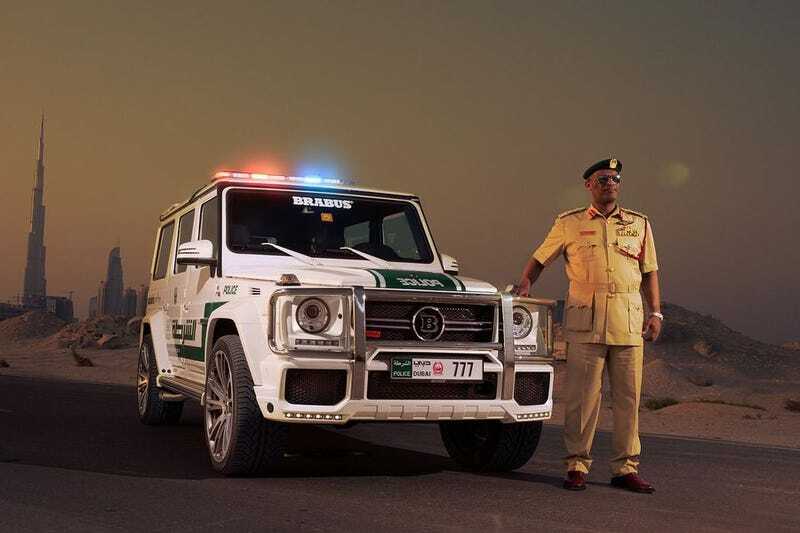 The newest Dubai Police car is super reasonable. After receiving a Lamborghini Aventador and a Ferrari FF for police duty, some smart government employee recognized that it was time for a proper utility vehicle - Dubai style. So instead of ordering a pedestrian G500, a G63 had to do. And fearing to be laughed at by passing supercar traffic for being to subtle and weak (500 something hp is nothing), Brabus was asked to install some of their goodies: A Widebody kit, huge 23" Rims, and a 700hp upgrade. Must be nice.